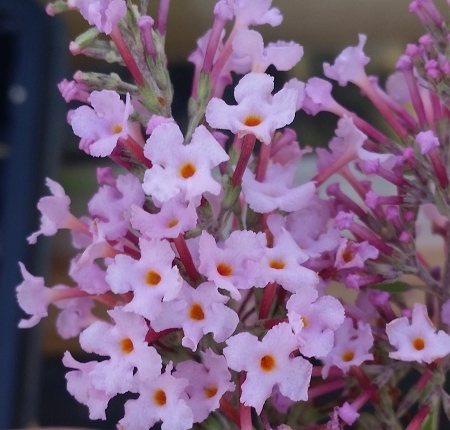 Pink Delight (buddleja davidii 'pink delight') - Beautiful pastel pink blooms from summer through fall. Attracts butterflies and bees. Grows to a large bush approx. 6' tall x 4'-5' wide. Quite drought tolerant once established. Perennial zones 5-9. Live plant in 3 inch container.